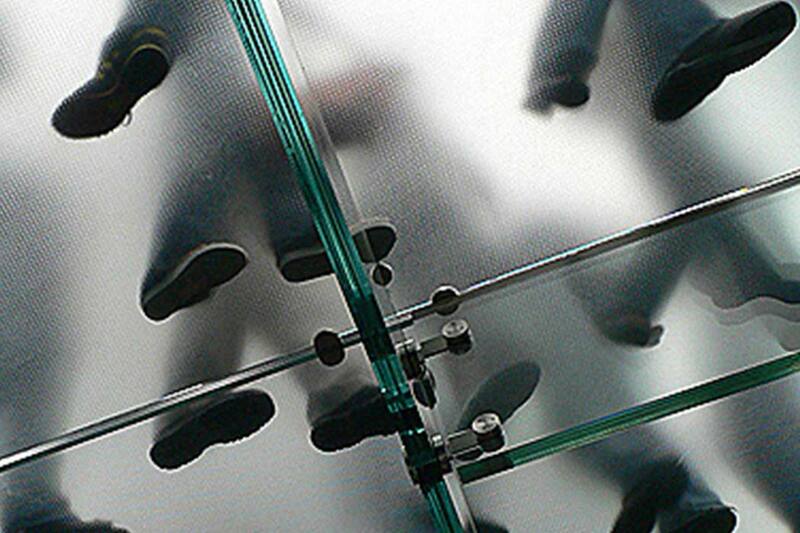 Walk on glass panels create a dramatic architectural feature in any project, whether used internally e.g. staircases or floors/ceilings to illuminate dark basements; or externally e.g. outdoor patios or decking areas. 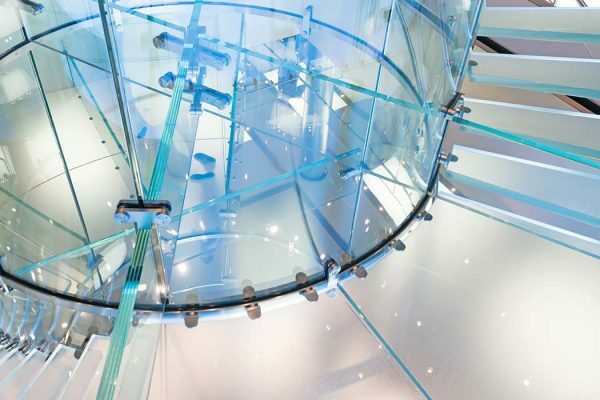 Our technical team can help to integrate walk on glass into your project with ease, designing striking walk on glazing structures and calculating the strength of the glass required for footfall. Walk on glass solutions include structural glass floors, walk on rooflights, walk on glass well covers and laminated glass beams. 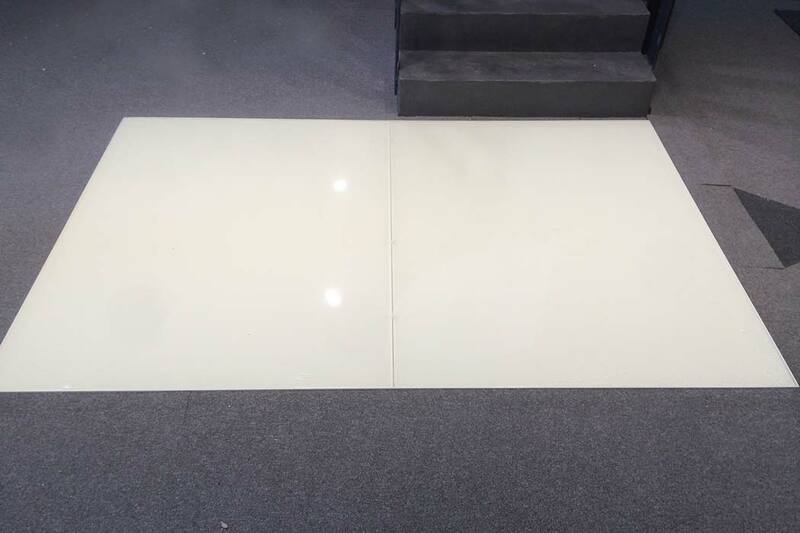 We are also able to apply the glass panels with an anti-slip treatment, which increases the safety aspect of the glass. This is done either by specialised ceramic inks being added as a coating to the glass, or by sandblasting the surface of the glass to create a rough texture.